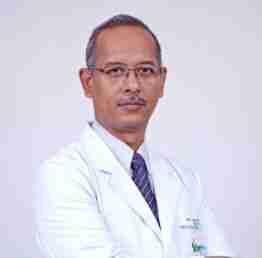 Dr. Sanjay Gogoi Top urologist & renal transplant surgeon in India is a renowned name in the field of urology. He is the Director for Urology and Renal Transplant Unit at Fortis Memorial Research Institute. With a rich experience of over 17 years to his credit, Dr. Gogoi, he has extensive experience in Robotic Pediatric Urology and has individually carried out over 500 renal transplants. He has been associated with several prestigious organizations such like Apollo Hospitals and has conducted the largest series of interstim insertion in India (sacral neuromodulation). He has various national and international publications to his credit. Get free consultation from the Best urologist in India by sending your query to Dr. Sanjay Gogoi Email Address. The Department of Urology at Fortis Hospital, Gurgaon offers advanced urological care at par with international standards. We offer complete spectrum of diagnostic and treatment for urology cancer, laparoscopic urology, prostate disease, stone disease, reconstructive urology surgery, paediatric urology, paediatric renal transplant and andrology. Check out the Urologist in Delhi Gurgaon Contact on our website to book an instant appointment with Dr. Sanjay Gogoi. Fortis hospital has one of the largest and most comprehensive organ transplant programmes in India. Fortis offers a host of state-of-the-art services which include transplants of liver, heart and kidney, intestinal and GI transplants and transplant services. The hospital provides excellent medical care and facilities for pre and post-transplant management. Book an instant appointment with Dr. Sanjay Gogoi Best urologist in Fortis Gurgaon on our website. Send query to us on our Email Address and Contact Number given on our website to contact Dr. Sanjay Gogoi urologist fortis hospital Gurgaon. In some cases the kidney may lose its ability to function properly and in some extreme cases it may cease to work altogether- this condition is known as kidney failure. Kidney transplant is considered as a viable option. An eminent team of Kidney transplant specialists, urologists, nephrologists and the technical expertise at Fortis Hospitals meet the challenges of this life saving procedure. We provide the comprehensive pre-operative evaluation, advanced diagnostics and dialysis support, the latest facilities in surgical procedure and complete the post-operative care which includes an isolation room to minimize the chances of infection. Contact us to get free consultation with Dr. Sanjay Gogoi Renal Transplant specialist in Gurgaon. Call Dr. Sanjay Gogoi Urologist Contact Number given on our website to avail a quick response from us. Dr. Sanjay Gogoi, Best urologist in India talks about the benefits of robotic surgery in urology.